Alternative Dispute Resolution (“ADR”) has become the preferred method of resolving disputes outside of the traditional court environment and most agreements, nowadays, provide for disputes to be referred to ADR before approaching a court regarding litigious matters. The BLCM now provides for ADR to be applied to the legal costs aspect of the matter as well. Faster turn-around times in finalising bills of costs. 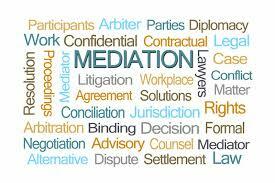 Professional and experienced mediators / assessors dealing with your matters. Less expenses in most cases. Anyone interested is welcome to contact us via email at info@blcm.co.za or visit our website for more information at www.blcm.co.za. Next articleWhat Should Your Law Firm’s Brand Persona Be?